On the day pitchers and catchers reported to spring training, the A's starting rotation has come into clearer view ... and it will look familiar. 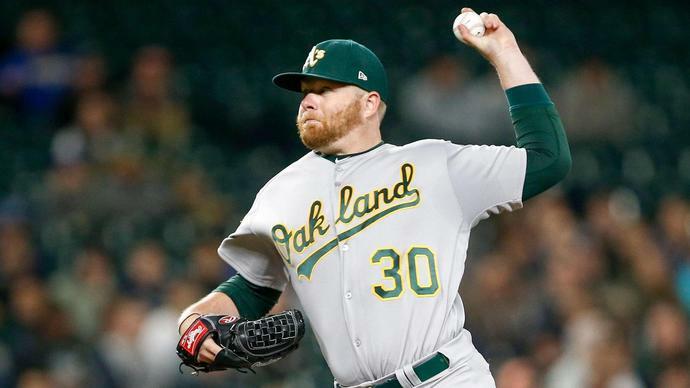 According to Susan Slusser of the San Francisco Chronicle, the A's and left-hander Brett Anderson have reportedly reached an agreement to team up for another season. Anderson, 31, went 4-5 with a 4.48 ERA for Oakland last season after signing a minor-league deal in March. He also pitched for the A's from 2009-13, amassing a 26-29 record over 84 games (73 starts), over which he posted a 3.81 ERA and 1.28 WHIP. Per Slusser, Anderson is scheduled to take a physical Tuesday, and -- assuming he passes -- he'll be in camp with the A's on Wednesday. With Anderson joining a rotation that already includes Mike Fiers and Marco Estrada, Oakland has added considerable experience to their pitching staff heading into the new season.